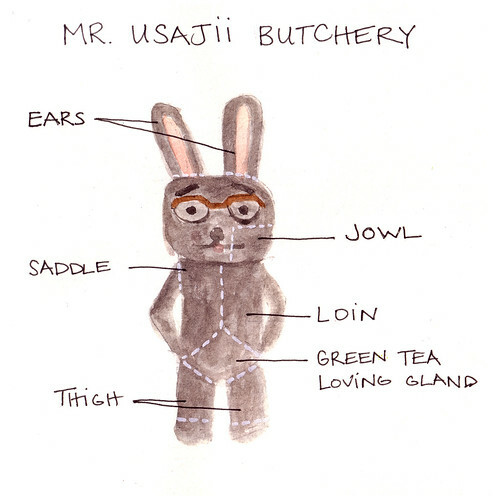 Next in Domokun's circle of pals is Mr. Usajii, Domo's older gentleman rabbit friend. Domo lives in Mr. Usajii's cave. Loves green tea. Kind of a luddite.